Our absolute favorite cuisine is Mexican food. When I learned that a new Mexican restaurant had recently opened in San Juan Capistrano, I could not wait to bring the family for dinner. 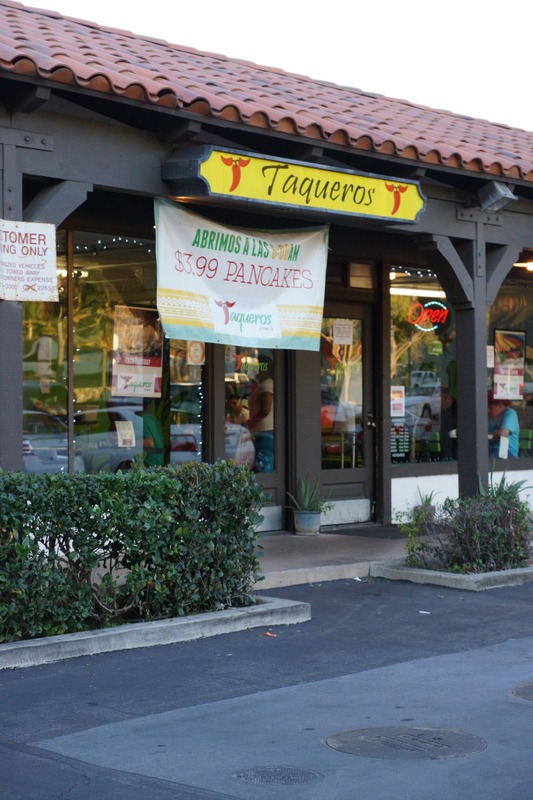 Taqueros is a family owned small restaurant in a strip mall just a couple of blocks away from the Mission in San Juan Capistrano. When we walked into the restaurant, we felt like we were at one of our favorite Mexican restaurants in Puerto Vallarta. It has a relaxed family-friendly ambiance, and all of the tables were full of families enjoying delicious tacos, tortas, and burritos. We placed our order at the counter, took a seat at a high top table, and watched the soccer game while waiting for our food. 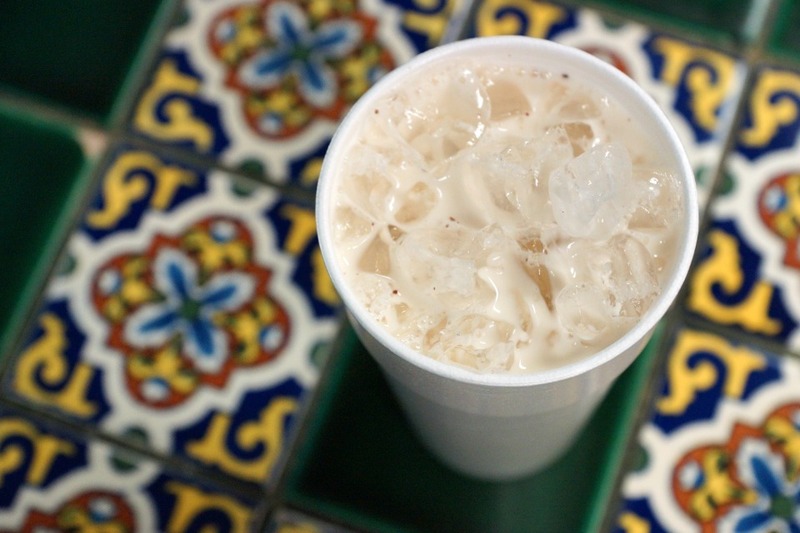 The one thing that I was most excited to have before starting our dinner was a giant cup of horchata. The freshly made beverage had truly authentic flavors, and even my kids could not get enough of it. The highlight of our dinner was clearly the torta. 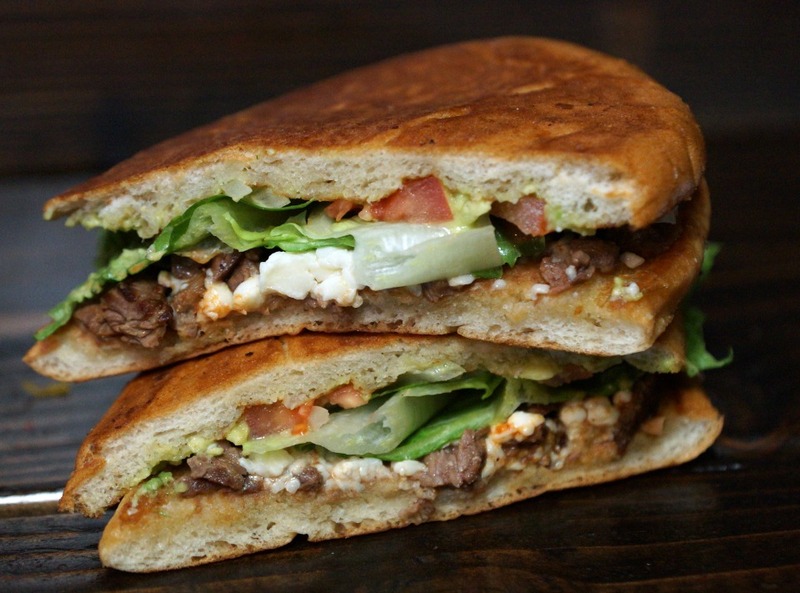 I have not had a torta as authentic and delicious as the one I had at Taqueros outside of Mexico. The meat had the perfect seasoning, and the bread was soft yet crispy. While I was full after eating the first half of the torta, I couldn’t resist having more and finished every delicious bite. My husband opted to try the chicken enchiladas, and he was just as impressed as I was with my torta. 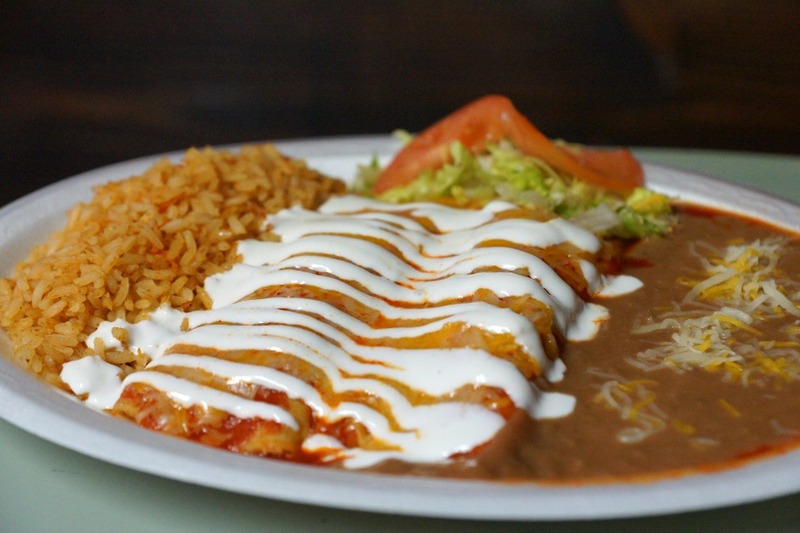 The two enchiladas came paired with a side of rice and beans, and drizzled with sour cream. The two tortillas came packed full of freshly shredded chicken and authentic seasoning. The flavoring of the sauce brought him right back to the food we ate on the beaches in Majahuitas where we have had some of our favorite summer memories. It just kept getting better for the kids who devoured the carne asada tacos. 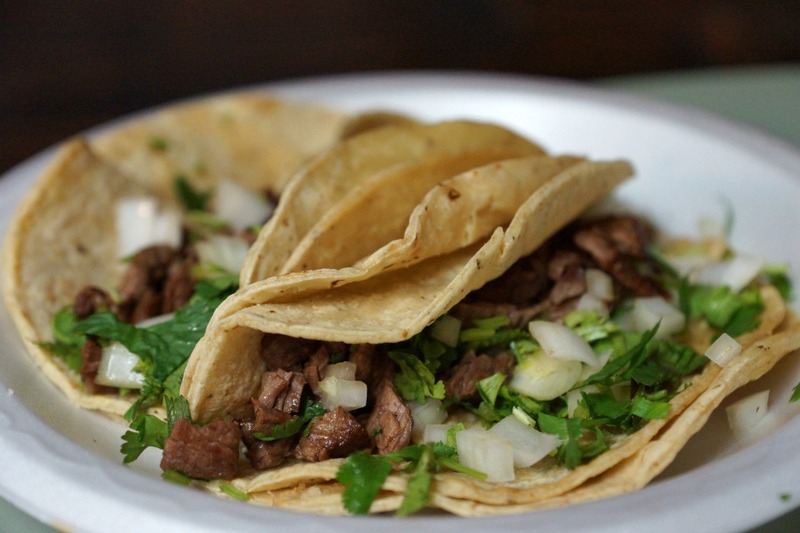 The tacos came with a large helping of carne asada and topped with onions and cilantro. 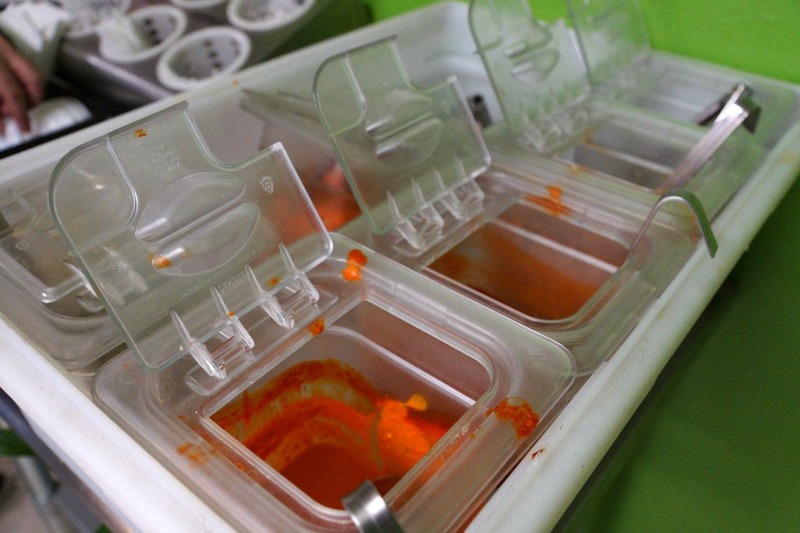 The kids were able to customize their tacos to satisfy their taste buds at the salsa bar. Taqueros might be small..but they are mighty and serving some of the most delicious and authentic Mexican food in Orange County. 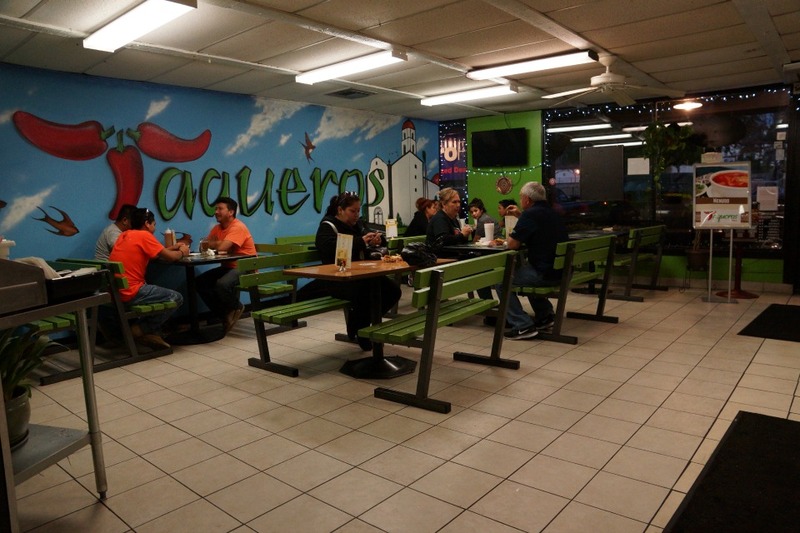 The next time that your family is looking for a new Mexican restaurant without high prices while still providing authentic dishes then I recommend trying Taqueros.